Some very familiar titles here! I read Wedlock earlier this year, loved Dead Woman Walking and have the Kate Morton up next! I noticed that you’d read Wedlock a while back. I’ve been reading it slowly for months, which I often do with non-fiction – It’s an amazing account. Wedlock sounds fascinating! But also rather full-on. Is it very violent? It is fascinating, Emily and is quite shocking, but I managed to to cope with the descriptions of the violence Stoney inflicted on Mary Eleanor – and I’m a squeamish reader! I’ve enjoyed some of Kate Morton’s books more than others – the ones I loved are The House at Riverton and The Secret Keeper. I think it was the House at Riverton I started. 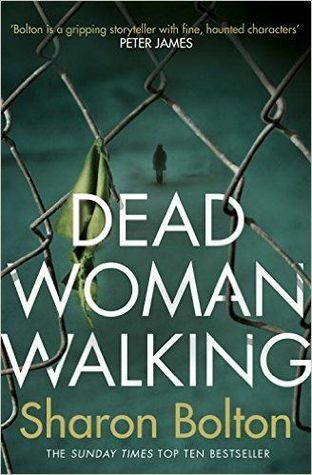 Love the sound of Dead Woman Walking, I’m going to add that to my TBR list. I recently finished The Craftsman by Sharon Bolton and thought it was brilliant! I thought The Craftsman was brilliant too – I’ve loved all of her books that I’ve read. 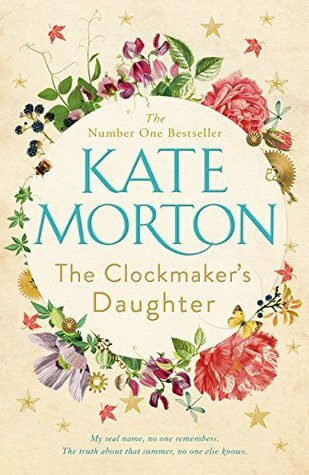 I want to read The Clockmaker’s Daughter, Margaret, so it’s good to hear that you’re enjoying it. Wedlock really interests me, too. I think Ann Cleeves is so very talented at creating setting and atmosphere; I look forward to what you think of Cold Earth when you get there. A nice lot of books there! 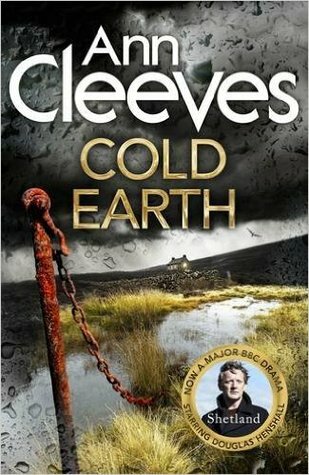 Ann Cleeves is one of my favourite authors and I was so annoyed with myself that I’ve had Cold Earth for nearly 2 years and hadn’t read it! Thanks, Teri, I hope so too. Snap with The Clockmaker’s Daughter as I’m just starting that. I’ve enjoyed some of Kate Morton’s previous books, such as The House of Riverton, but really struggled with The Distant Hours (which is still sitting unfinished on my bookshelf – and I rarely DNF books – plus it’s so huge!). I’m hoping to get on better with this one (although it’s also quite large) and have high hopes from reviews I’ve read. I struggled a bit with The Distant Hours too but I did finish it. I thought it was too long and moved at a snail’s pace – the least satisfying of her books that I’ve read. I like The Secret Keeper the most. Yes, The Secret Keeper is my favourite of hers too. Is it heresy to say though that I wish she had an editor who could persuade her to cut 100 or so pages from each book? Not at all! I’ve now read 51% of The Clockmaker’s Daughter and unfortunately I think this one is too long as well. It’s full of good sections that make me want to know more, but so much detail again. I’m having to accept that this is not a quick read and be patient. Thanks for the warning! I’ll try to engage my patience as well. At the moment I’m only a small way into the book. Thanks, Sarah – I’ll visit your post too. The Ann Cleeves book looks interesting…I loved the Shetland series on Netflix. I am also curious about Dead Woman Walking. Thanks, Laurel – I like the Shetland TV series, but they don’t stick to the books, which I think are better. I love your list for this week! Steinbeck is, quite possibly, my favorite author of all time and, although East of Eden was my least favorite of his, I still loved it. I’ve read it three times so that’s obvious. I’ve never read Ann Cleeves before yet everyone with similar book tastes loves her. I’ll go back at the beginning and start her series. I’m impressed you’ve read East of Eden three times! I hope you enjoy Ann Cleeves’ books as much as I do. Oh, you’ve got some really good ones here. Not that I’ve read any of them. However, I’m definitely looking forward to Kate Morton’s new book – maybe later this fall. And I’m also going to start the books in Ann Cleeves’ Shetland series at some point before long. If I remember how I was with the Vera books, I’ll likely read them one after the other. I own that Bolton book, but haven’t read it yet. Do you think she’s finished with the Lacey Flint series? I’m betting she is. Kay, you have some treats in store. It does look as though Lacey Flint’s days have come to an end doesn’t it. But did you there is a Lacey Flint short story, The Corpse in the Copse in the 2nd Crime Club Killer Women Anthology? I haven’t read it yet. The Clockmaker’s Daughter is sounding enticing, look forward to your thoughts on that. Cath, I hope it won’t be too long before I finish it – but my track record on writing reviews hasn’t been so good recently! I’m really looking forward to The Grapes of Wrath! 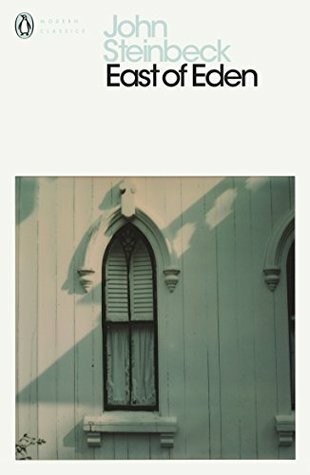 I’ve never read East of Eden, but it sounds completely different than I ever would have guessed! I’m getting ready to reread Of Mice and Men – it’s so beautiful and heartbreaking! Happy reading! I’m SO excited for The Clockmaker’s Daughter! Glad to hear you’re enjoying it so far. Wedlock looks fascinating as well! I’m also reading “The Clockmaker’s Daughter ” and enjoying it. And.. your post has reminded me that I’ve fallen behind with Ann Cleeves’ titles. East of Eden is one of my favorite novels—I really have to reread Grapes of Wrath, as it’s been over 40 years since I read it in high school—but EoE is wonderful. I agree, it does start a bit slowly, but once you get to CA it picks up. I was lucky enough to visit the Salinas Valley while listening to it on a road trip, and it was a magnificent experience.